Bethesda 365 » Day 100: Unlimited Indulgence! 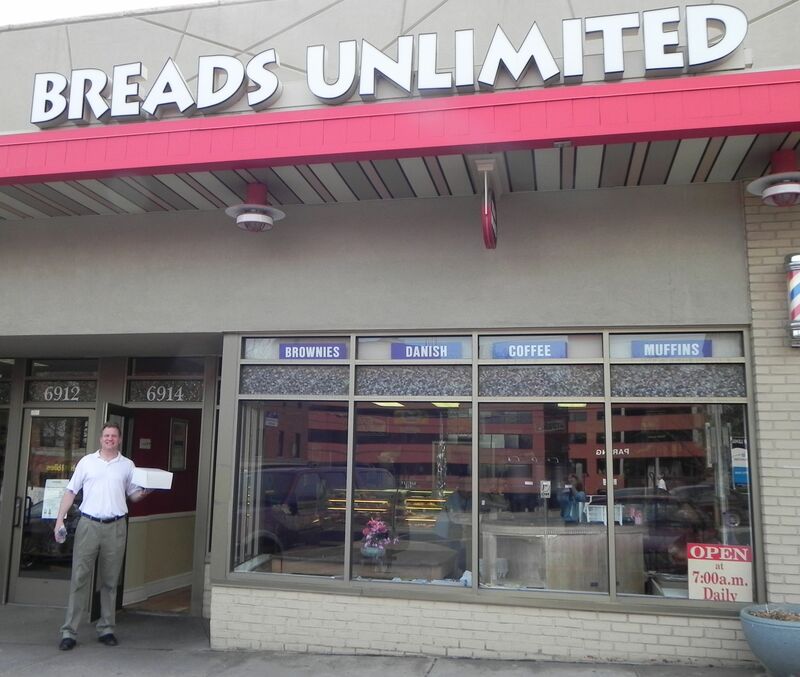 Breads Unlimited is located in the Bradley Shopping Center on Arlington Blvd near Bradley Blvd. Steve Raab followed in his father George Rabb’s footsteps when he expanded the bakery his father founded called New Yorker Bakery in DC with a new location in Bethesda in 1981. 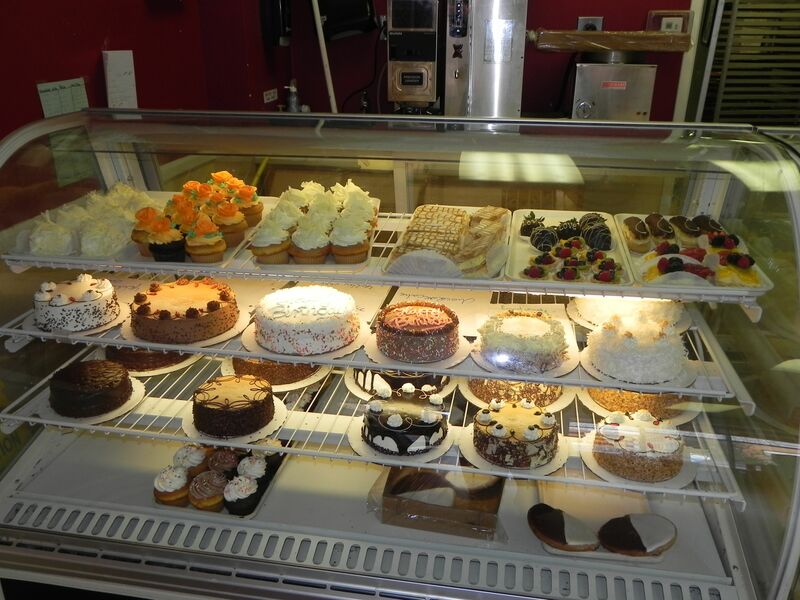 Steve was determined to continue the traditions of his father in making old-fashioned pastries, breads, and treats, and his Bethesda bakery will not disappoint you. Cakes are Breads Unlimited’s real specialty. I stopped by today to pickup a birthday cake for my son Logan. I chose a beautifully decorated chocolate marble cake (I’m adding my own custom message – something to do with Lego Batman!). The marble cake features “layers of delicious chocolate and vanilla cake smother in vanilla butter cream and smooth chocolate fudge.” Another cake that caught my attention was the Mocha described as “Chocolate and vanilla cake are layered with mocha butter cream in this sinful treat. Surrounded by white and dark chocolate shavings and topped with chocolate coffee beans this cake is the perfect pick to accompany an after dinner coffee.” While browsing the cake selections I asked if I could “make sure” the chocolate chip cookies were as delicious as I remembered –of course they were! This entry was posted on Monday, April 11th, 2011 at 10:39 pm and is filed under Food and Drink, Kid's Stuff. You can follow any responses to this entry through the RSS 2.0 feed. You can leave a response, or trackback from your own site.